Most skiers who ride Collins have no idea they area actually riding two different lifts joined in the middle. 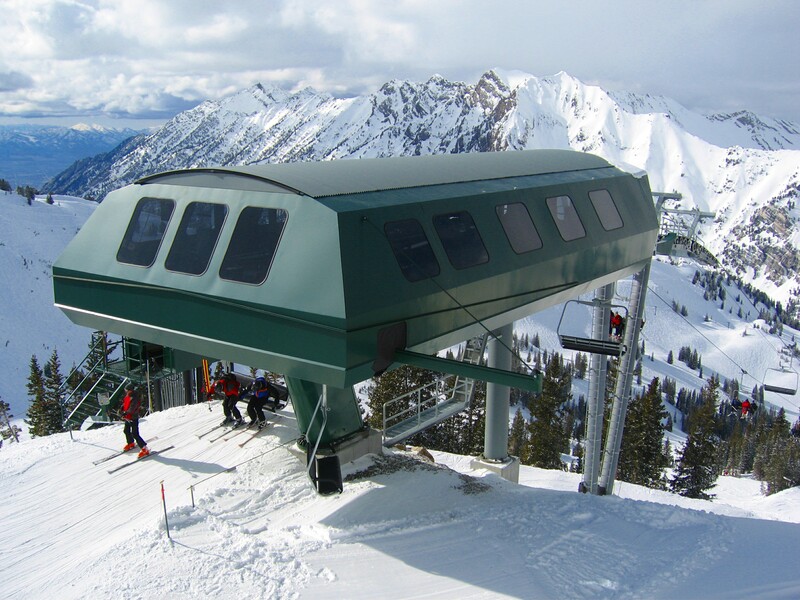 When it opened at Alta Ski Area in 2004, the new Collins lift was the 66-year old resort’s first base-to-summit lift. It replaced two older Yan fixed-grip lifts and dramatically improved the skiing experience at Alta. Collins is actually two detachable quad lifts joined in the middle at a 29-degree angle. Its four Stealth III terminals were the last off the line following Doppelmayr and CTEC’s merger two years earlier. The lower section replaced the Collins double in a completely new alignment from the parking lot level of Alta’s Wildcat base area. The Wildcat double’s bottom terminal was also moved downhill the same summer to be adjacent to Collins. Stage I is only 2,727 feet long with a vertical rise of 741 feet, nine towers and ride time of 2.7 minutes. It was designed to be able to operate independently at night with gondola cabins to serve events and dining at the Watson Shelter although this has yet to be realized. Approaching the 29-degree Collins angle station. The angle station adjacent to Watson Shelter houses 500-HP drive motors for both sections. 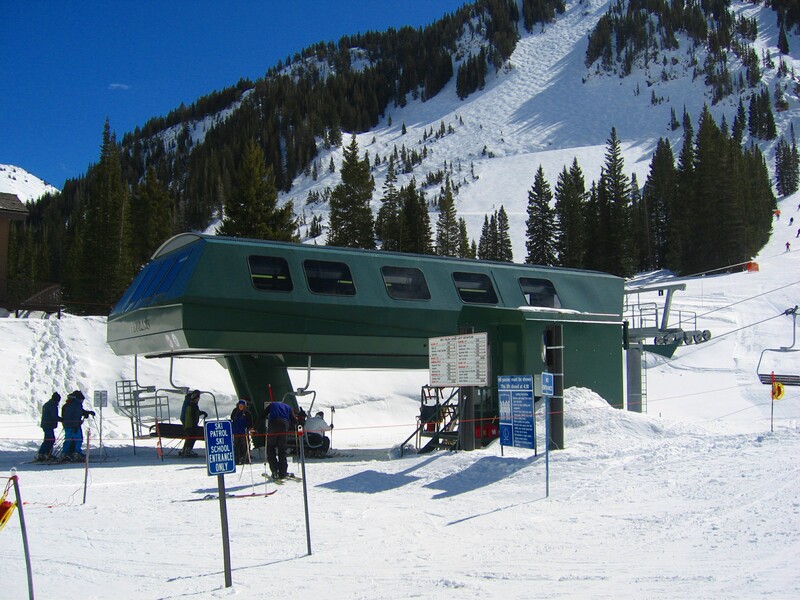 There is no unloading at the angle station but skiers can load empty up-bound chairs. 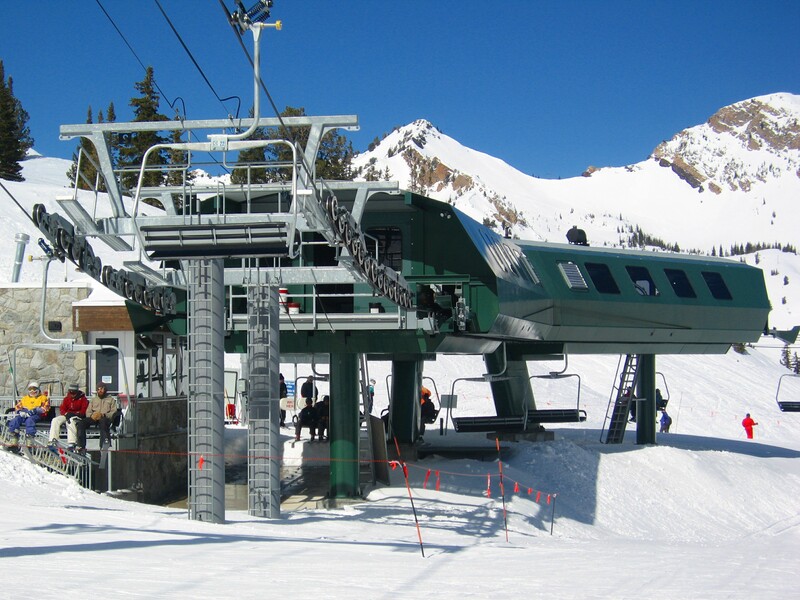 Automated gates prevent skiers (remember this is Alta – no snowboarders) from attempting to load occupied chairs. The last time I was at Alta, there was no loading at the mid-station until after 10 am to allow maximum capacity out of the base area. 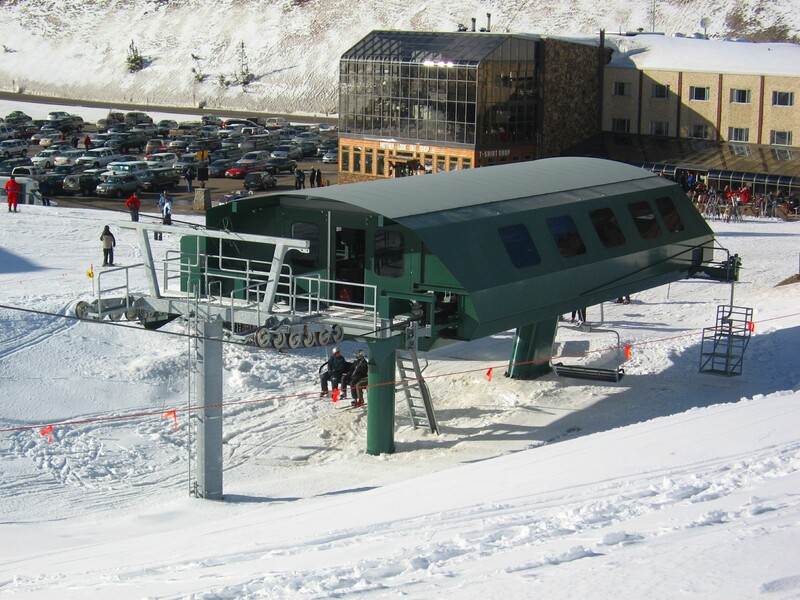 After that, every 6th chair was left empty at the base to allow for loading at the mid-station. Collins Stage II is 3,569 feet long with 1,099 feet of vertical. Most of its 18 towers were re-used from the former Germania triple in the exact same alignment. It has a ride time of just 3.6 minutes. 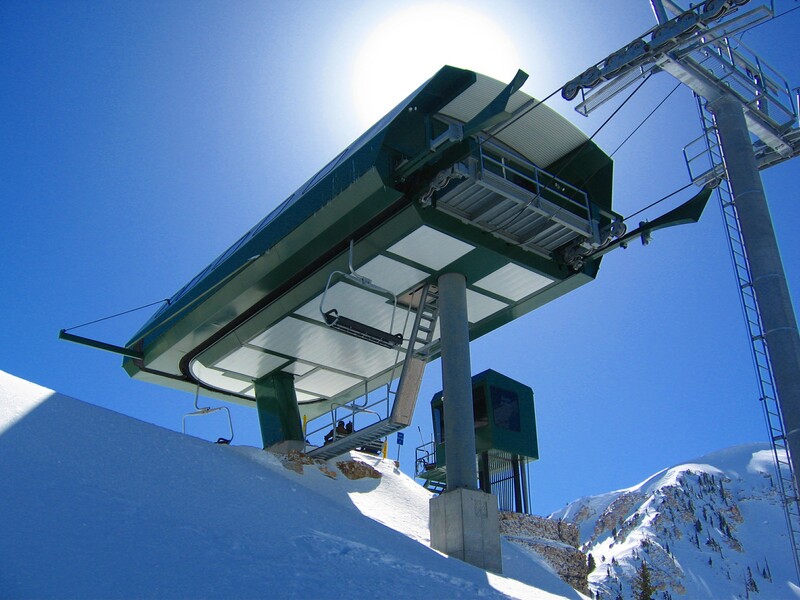 Both sections are designed to move 2,400 skiers per hour at a maximum speed of 1,000 feet a minute. The lower section loses capacity when chairs are kept empty for the mid-station after 10 am. Collins has 114 Garaventa quad chairs with Agamatic Garaventa AK400 grips. 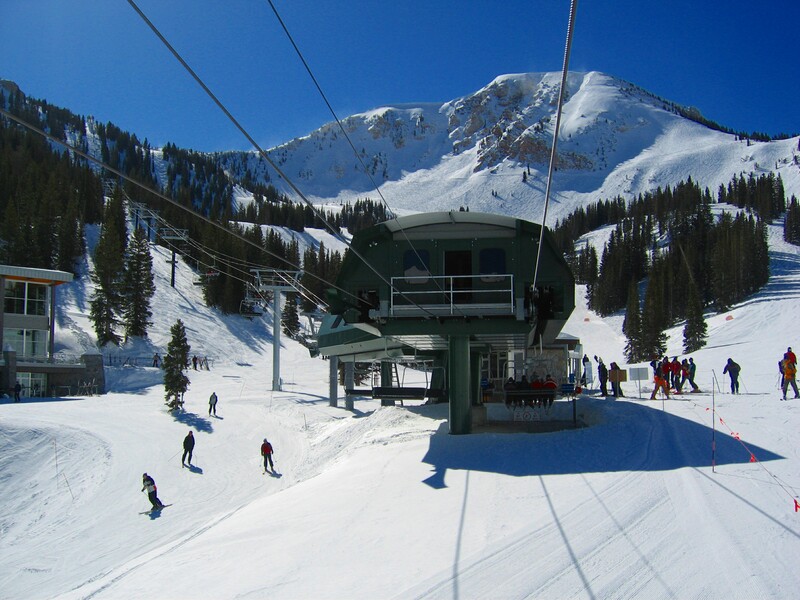 The two-stage Collins project was just part of a major lift upgrade program that Alta undertook from 1999 to 2004 that also included new Supreme, Sunnyside and Sugarloaf lifts. Previous Article Beijing 2022 Olympics: Where are the Ski Venues? You’re right, vons. Fixed it above.